Home » What's New » Got a Shiner! What Exactly Is a Black Eye? A black eye, also known as a periorbital hematoma, is usually not an injury of the actual eye (which is why it is called “periorbital”- around the eye). It typically occurs when there is an injury to the face or the eye socket which causes bleeding beneath the skin and bruising. 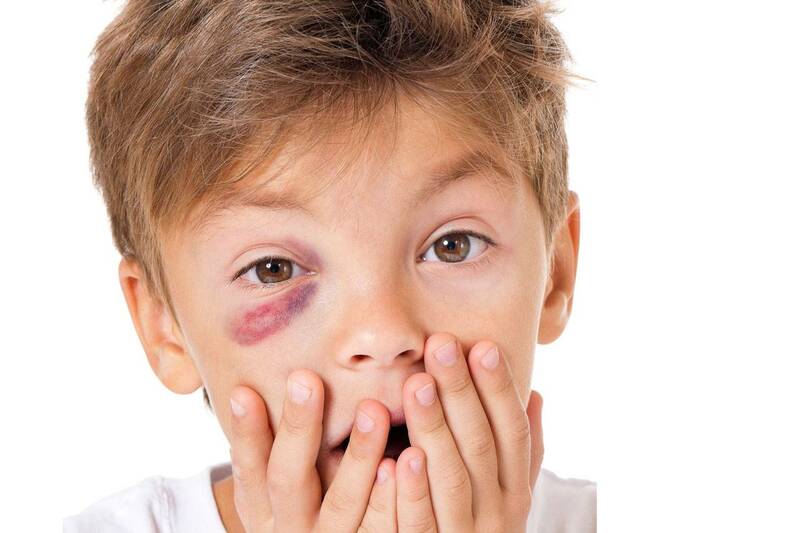 The term, “black eye” comes from the dark coloring of the bruising that occurs underneath the skin around the eye. When a blunt force hits the eye socket, this can cause capillaries in the area to burst, causing hemorrhaging, also known as a hematoma. This blood can accumulate in the eye socket and as it begins to be reabsorbed into the surrounding tissues, the colors of the bruising begin to change. That’s why you will often notice the coloring of the black eye to go from a dark purplish-red color to brownish and then yellow. Sometimes along with the external bruising, you might also notice a small amount of bleeding on the white surface of the eye, which is called a subconjunctival hemorrhage. This is when the tiny blood vessels on the white sclera are broken and leak blood. It’s generally harmless but sometimes looks scarier to the patient than the black eye does. This condition will also reabsorb on its own and is nothing to be concerned about. While most black eyes can look pretty serious due to the dramatic color, an uncomplicated black eye will typically heal within a week to ten days. If it doesn’t, there could be a more serious issue such as a bone fracture or an orbital blowout fracture.This could present with restricted eye movement, especially if looking up or down, and numbness of the cheek and/or upper lip on the same side as the black eye. The eye may even appear sunken in. Further, if there is bleeding within the actual eye (called a hyphema) or floaters or flashes in the vision, then it is definitely advisable to see your eye doctor as soon as possible. 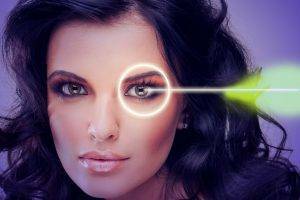 These could be signs of more serious damage such a corneal or retinal damage and can lead to vision loss. Usually, the best treatment for a black eye is to apply a cold compress (or even better, a bag of frozen vegetables, which is more flexible and can conform to the contours of the face) directly on the area. The cold will reduce swelling and constrict capillaries to reduce internal bleeding as well. Apply the cold for about 15-20 minutes every hour. If there is pain, over the counter pain medications can help. In addition to blunt trauma, black eyes can be caused by sinus infections, nasal or eye surgery or other infections in the area such as the teeth infections or cellulitis (a serious infection that can occur around the eyes). A skull fracture can also cause both eyes to turn black, sometimes known as raccoon eyes. Unless you notice any severe symptoms you can rest assured that your black eye is a bruise just like anywhere else on the body and with a little care, rest and patience, it will clear up in no time.